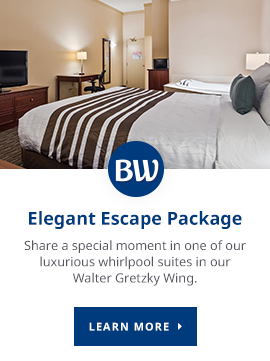 Best Western Brantford Hotel & Conference Centre offers a wide range of comfortable, spacious event, meeting and banquet rooms, for groups as small at 5 and as large as 550. From seminar rooms complete with comfortable armchairs, to the Grand Ballroom with its elegant atmosphere, our event spaces are sure to impress your guests. Best Western Brantford Hotel & Conference Centre offers modern banquet, conference and meeting facilities. Take a look through our selection of meeting room and banquet hall options below. Questions about our rooms, and how Best Western Brantford will work for your event? Get in touch today! Click on the image below to view and download our floor plan. Thanks to you and your staff for the quality customer service I/ we experienced at the Best Western Brantford Hotel & Conference Centre earlier this week. Arriving on Sunday evening with a group of 30+ and departing at noon on Wednesday, from my perspective we experienced nothing but quality service and attention to detail from your colleagues on every front.